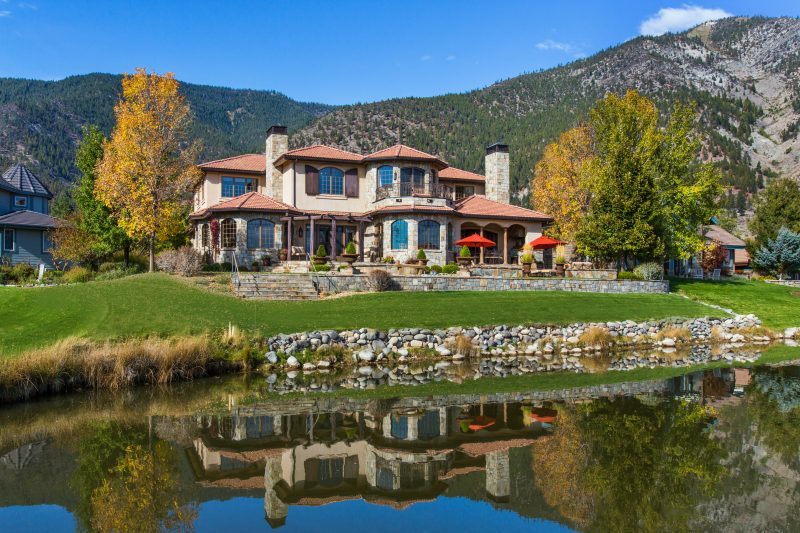 Sitting on a private lake, overlooking the fifth tee on the Genoa Lakes golf course in Genoa, Nevada, La Toscana casts an impressive reflection of unsurpassed quality. 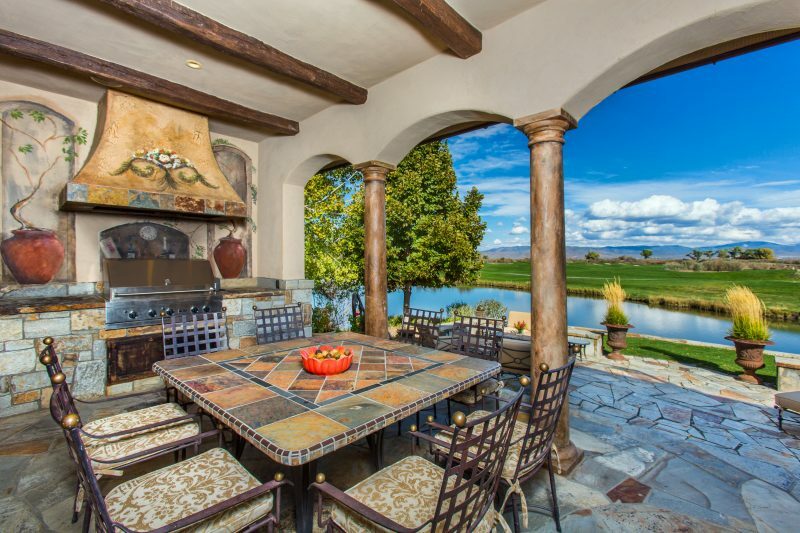 The exterior features a classic stucco and solid stone design; typical of Tuscan architecture. As you approach the home through a dramatic towering stone breezeway, you will find an inviting courtyard just off the entry. Passing through a fortress-type arched wooden door to a grand entry hall with 20′ ceilings, impressive chandelier, beautiful stone floors, and captivating lake views, you instantly feel the warmth of this stately home. 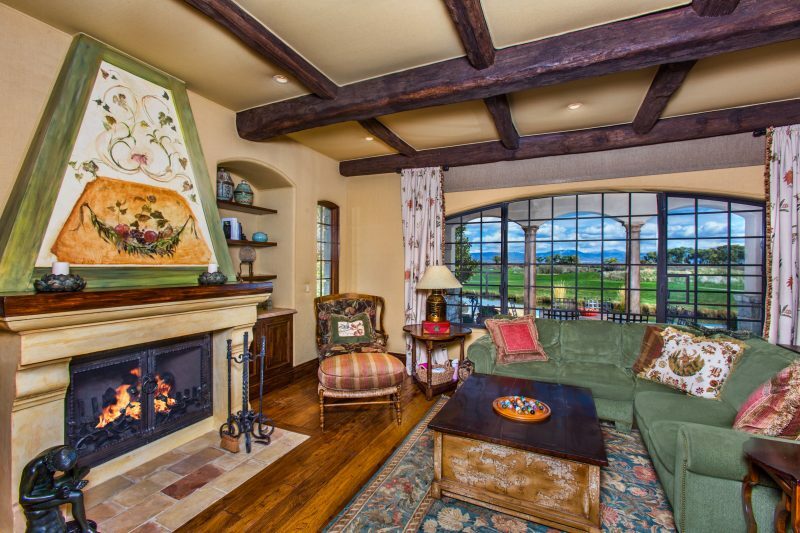 Custom designed furnishings, Venetian plaster, arched passageways, and unique high-end finishes create the Tuscan atmosphere. The heart of the home is the kitchen, and La Toscana’s is the perfect place to gather friends and family. 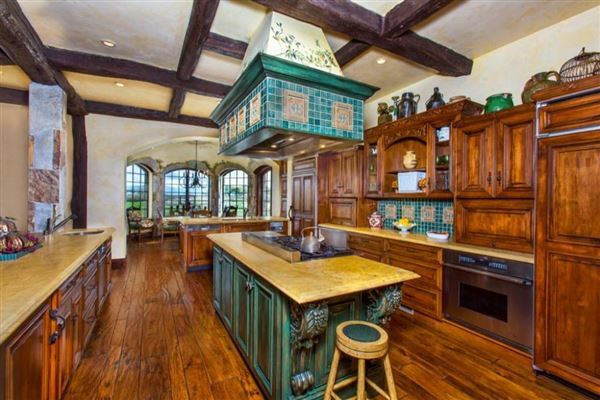 An old world Tuscan style is captured with rustic reclaimed beams, lustrous custom cabinetry, honed marble counters, artistically crafted range hood, and wide plank hickory hardwood floors. High-end appliances; including 2 Miele dishwashers, 6-burner double oven Dacor gas range, additional Dacor oven, and warming drawer, separate GE Monogram refrigerator and freezer provide a professional level of functionality. 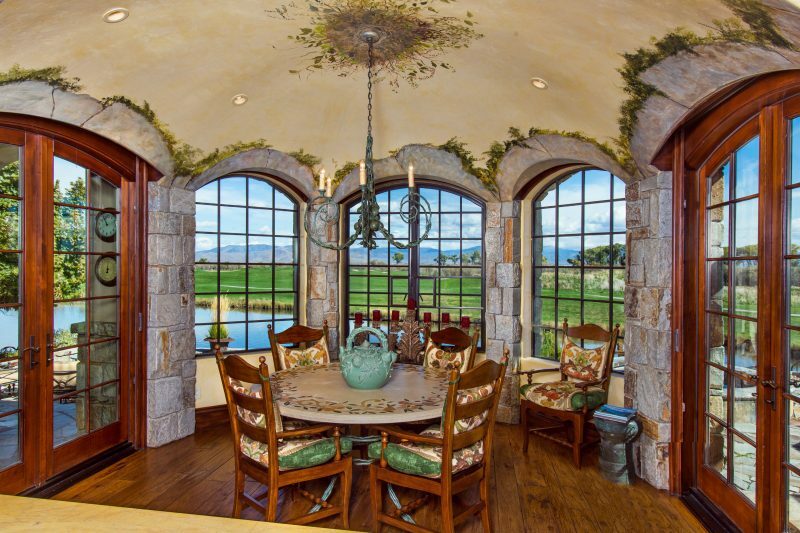 The kitchen adjoins a stone enhanced, curved breakfast nook with arched windows framing picturesque lake and mountain vistas between the panes. The covered flagstone patio, complete with a built-in barbecue featuring a custom hand painted chimney, is ideal for dining alfresco. The terraced flagstone patio expands to include a large stone hot tub where you can enjoy a moonlit soak overlooking the pristine lake and artistic landscaping designed with privacy in mind. This home is listed for $2.399 million with Chase International, an affiliate of Luxury Portfolio International®.